I bought these awesome shoes at the Skechers store for 70% off. 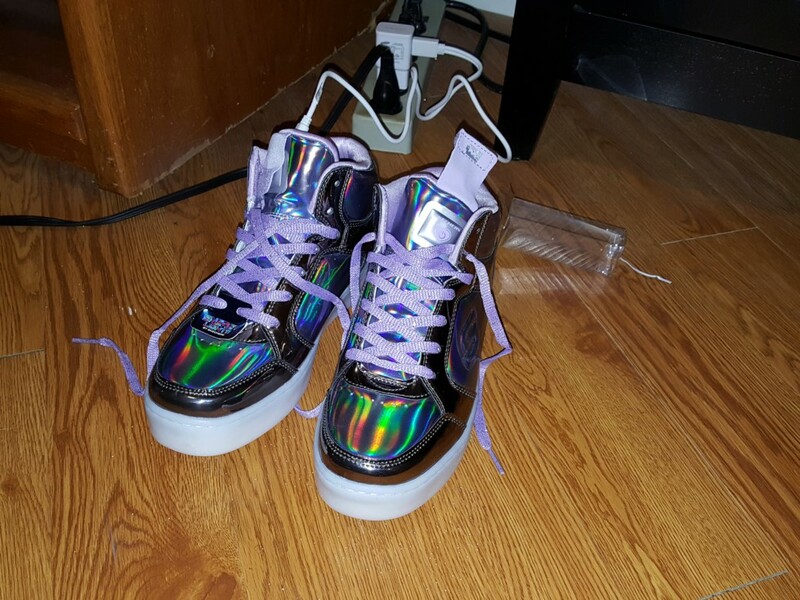 They were in the kids’ section and I guess shiny funky shoes that light up in different colors aren’t often in demand by kids in my size, but uh . . . I love them. Ever seen shoes you have to charge before? ?